Microsoft Dynamics 365 Business Central functions like every double-entry accounting system: its base modules provide all you need for accounts payable and accounts receivable. 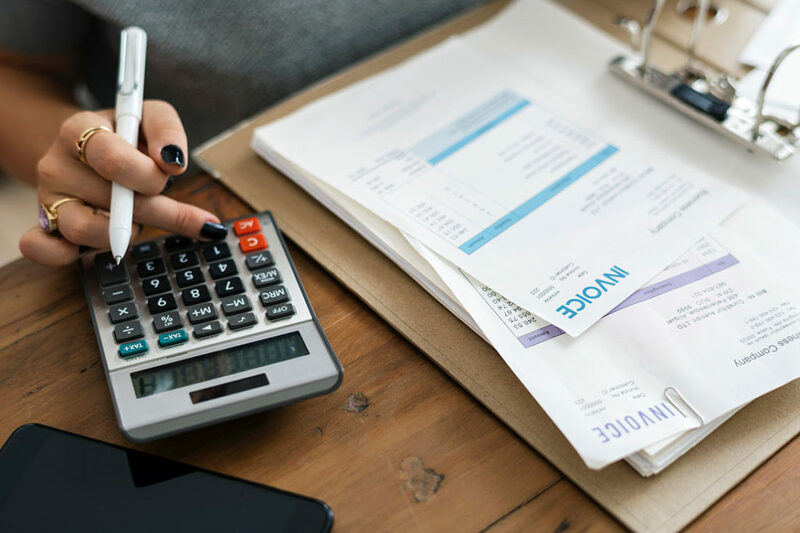 One helpful tip when entering invoices is to be aware of how the payment method that you select will ultimately affect how the invoice gets processed within the system. 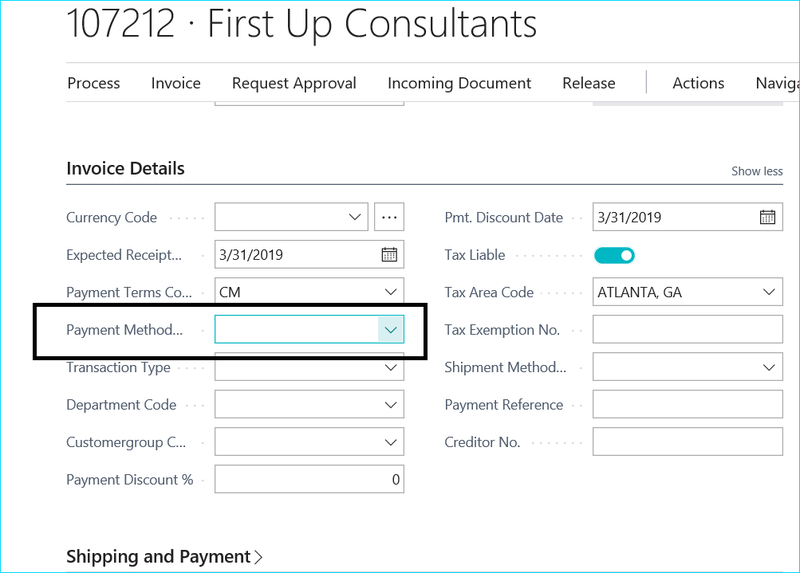 You can set up your desired payment methods within Dynamics 365 Business Central, and once that’s complete, the options will be available in a dropdown menu on the Invoices screen. Once on the Invoices screen, if a selection is made in the highlighted box, be sure to understand its functionality. If CASH is selected, this invoice will be paid immediately. A payment is automatically recorded upon posting the invoice. The results can be verified by going to Actions>Posting>Preview Posting. Click the G/L Entry or Vendor Ledger Entry link. Note that the invoice and the payment will both be posted automatically upon posting the invoice. 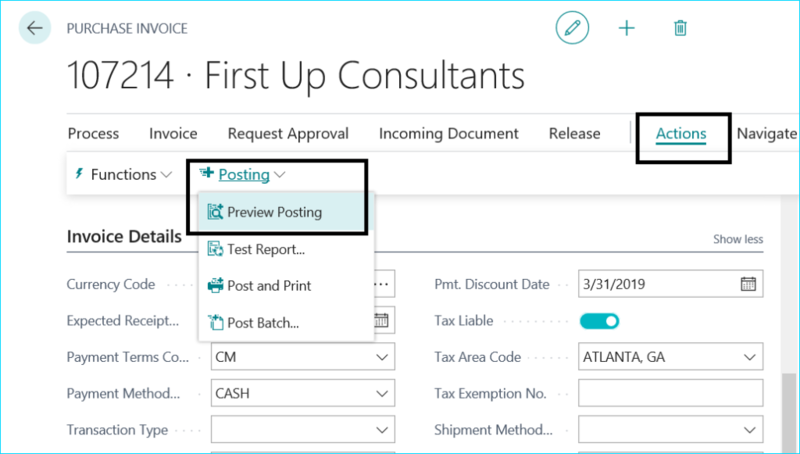 As Microsoft Dynamics 365 Business Central evolves, and as more and more of our clients begin to use it, our team will continue to write blogs about using the popular features! Visit our Dynamics 365 category, and subscribe while you’re there!